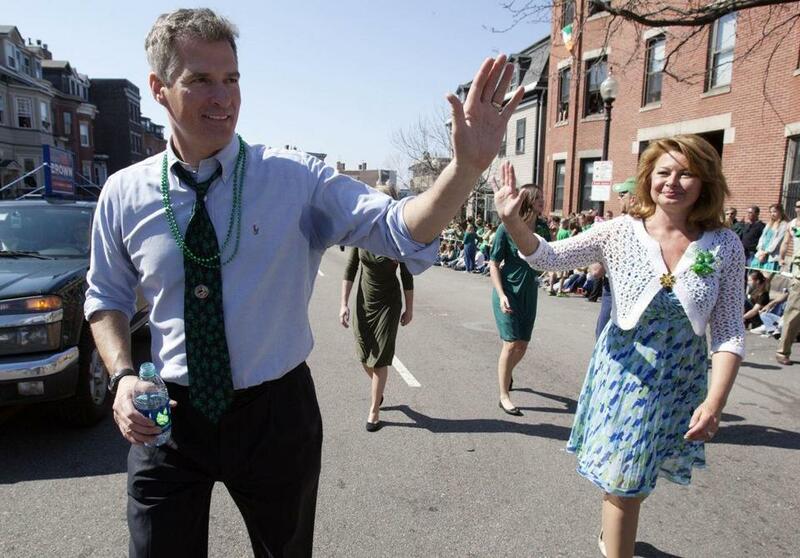 Senator Scott Brown walked in the St. Patrick’s Day Parade. But these days, Brown is advertising his allegiance to a different place, South Boston. South Boston, of course, is not his hometown, but a politician like Brown can do well being seen as a South Boston guy. The neighborhood, while steeped in Democratic politics, has long been dominated by Reagan Democrats whose blue-collar ethos and traditional mores provide an ideal backdrop for a Republican trying to appeal to independents and crossover voters. It was the only neighborhood in Boston that Brown won in the 2010 special election. And by planting a flag there, political observers say, he is claiming it as turf he expects to win again. Senator Scott Brown and his probable Democratic challenger, Elizabeth Warren, are considering at least partially fulfilling the Globe’s request to release six years of their tax returns. The tactic is not new, Gray noted. A working-class, politically oriented neighborhood provides a great credibility-boosting backdrop, as Ronald Reagan proved when he stopped in for a beer in 1983 at the nearby Eire Pub in Dorchester. The Eire pub also cropped up in another ad Brown’s campaign released last fall, showing Brown with Flynn at the Irish Festival. But beyond the symbolism, South Boston has been good to Republicans, from Governors William F. Weld and Paul Cellucci to Brown himself, said Gray. Like Brown, Charles D. Baker, who ran for governor in 2010, also located his headquarters there, but lost the neighborhood to Governor Deval Patrick. It’s also a community that is deeply invested in politics. Residents are used to getting involved, holding signs, and throwing their individual and collective weight behind their candidate. And while they typically identify as Democrats, their socially conservative leanings can make them more open to Republican and independent candidates than voters in other Democratic strongholds. But in an insular place like South Boston, newcomers can have a tough time making inroads, and a politician needs a trusted local to introduce him. Brown has had help from state Senator John A. Hart, a fellow Tufts University alumnus who now emcees the St. Patrick’s Day breakfast where Brown was feted at center stage and his daughter, singer Ayla Brown, performed. But now - unlike in the 2010 special election, when many voters were caught up in “the enthusiasm of supporting an underdog,’’ Domke said - Brown’s reelection will depend on deep and broad support from locals who will buck the Democratic establishment, coalescing around Warren in order to get out the vote for him.